CPI(M) leader Brinda Karat today criticised the government for attempting to push the triple talaq bill through parliament without holding any discussions or consultations with Muslim women. 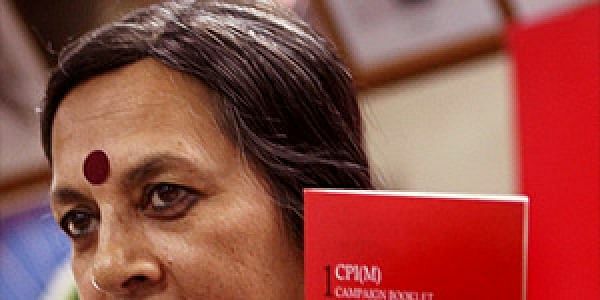 NEW DELHI: CPI(M) leader Brinda Karat today criticised the government for attempting to push the triple talaq bill through parliament without holding any discussions or consultations with Muslim women and women's organisations. The bill making instant triple talaq illegal, with up to three years in jail for the husband, was passed in the Lok Sabha today. The bill will now be sent to the Rajya Sabha for passage before it is forwarded to the president for signing it into law. "The bill itself is very objectionable, and equally objectionable are the efforts of BJP to push it through parliament without any consultation or discussion with those in whose names the bill is been passed," said Karat. Muslim women and women's organisations have never been consulted on this issue, she added, labelling it "totally wrong". The Left leader pointed out that the issue of divorce is a civil dispute. "Instead of looking at civil remedies, the government is trying to look at criminal remedies," she said. The bill itself has many problems which the government needs to look at. "There are problems with this bill which requires further discussions. One, divorce is not a crime in this country... So therefore if you want to bring it under criminal law, there are many implications of this which requires discussions," she explained.